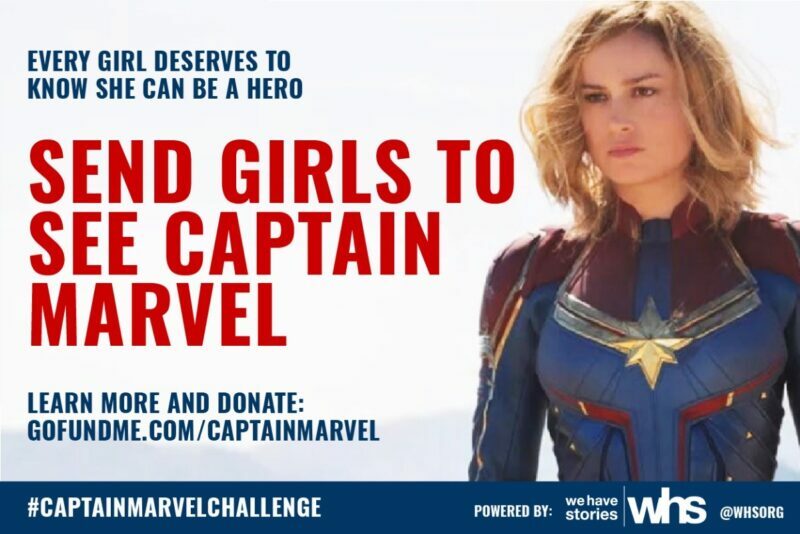 We Have Stories– 501(c)(3) non profit founder Fred T. Joseph has started a GoFundMe page to help pay for tickets for girls to go see Captain Marvel in theaters. The movie will be released on March 8 which is International Women’s Day. This film also marks the first female led movie in the Marvel Cinematic Universe. Marvel Studios’ first female led film, “Captain Marvel” offers this type of important representation. We want to help girls from various backgrounds have the opportunity to see the film by providing tickets and renting out theaters. Proceeds will be donated to Girls Inc. of Greater Los Angeles. Additional proceeds raised will go to Girls Inc. LA and We Have Stories to help with their program costs. This is not the first time a GoFundMe of this nature has been launched. Last year a GoFundMe campaign was launched to send kids to see Black Panther by New York resident Frederick Joseph. Thousands of people online shared the campaign under the ‘blackpantherchallenge’ hashtag. All children deserve to believe they can save the world, go on exciting adventures, or accomplish the impossible. I am grateful that all of you have answered the call and are taking action to help more kids watch their heroes on the big screen. The campaign started by WHS is using the hashtag ‘CaptainMarvelChallenge’ and has set a goal of ten thousand dollars.